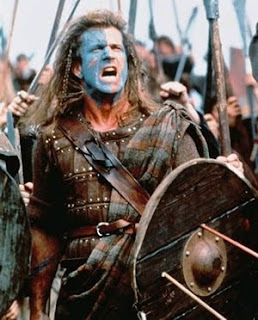 No, I'm not really posting about the movie Braveheart...and I'm not trying to recruit you to sell Amway either :). I'm just posting because I had my 35 week, 6 day appointment today and was released into the free world again. Woohoo! During this week, I've made a special effort to really appreciate the fact that I was able to do my normal activities and not cooped up in the hospital. Long walks with the family in the evenings (the weather has been FABULOUS - like low 70's in the evenings), snuggling up with the children, getting a hair cut, doing little tasks that need to be done and most importantly...being thankful have occupied my days. I really feel like we're in the homestretch now and ladies and gentlemen...I...think...she...could....go...all...the...way!!! Now, that's what I call toxic gas! I am a work at home mommy of a 13-year old, a 3-year old, and a 2-year old, married to the sweetest man on the planet. We're busy, but I like to call it "good busy." I am incredibly thankful for my family and the opportunity to be home with my children.